Forgive me if this is posted to the wrong forum or is incorrect in anyway. This is my first post and the first time on the site. 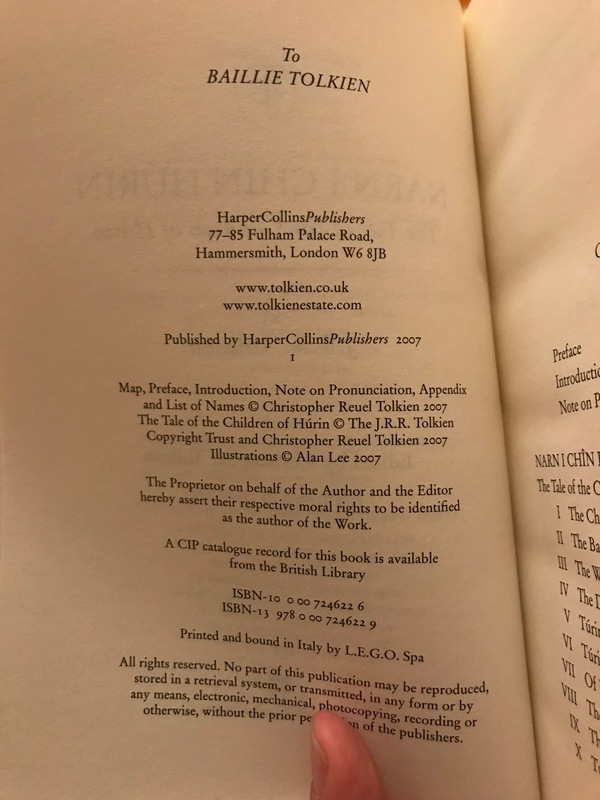 I had a question about how to tell whether or not a "Children of Hurin" copy was actually first edition. Obviously this is not an expensive first edition, but it is going into a collection of firsts so I wanted to verify. I purchased it from a vendor who claimed it was first edition, first printing. It seems as if it is but I wanted to be sure. Many of the others have the editors number line on the copyright page, which helps in identifying a first edition but this one does not. I've attached a picture. Any help would be greatly appreciated. Thanks! Yes. A first. Just the number "1" as the numberline is correct.